Happy Birthday, I Bought You Some... Death! A top shelf horror movie has hit the big screen just in time for Halloween. 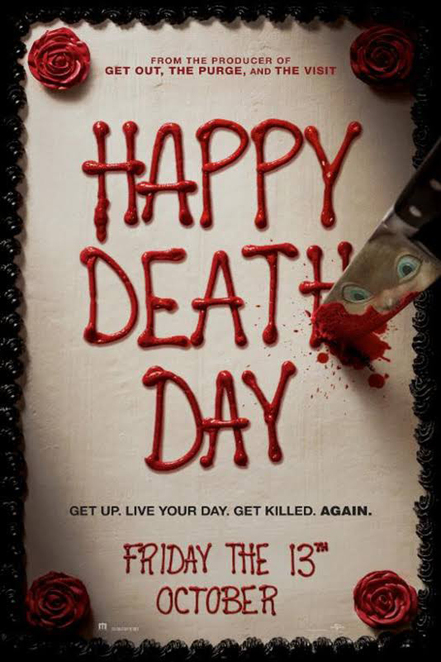 Happy Death Day takes the slasher genre and gives it a clever twist. It's very accessible to a wide range of scary movie enthusiasts. The plot sees a college student called Tree being murdered on her birthday, only to suddenly wake up and re-live her death day again and again. Each time the events play out slightly differently. She learns a lot about herself along the way to discovering who killed her. She even falls in love too. Good Horror and Not Just Because they had Cake at the Premiere. Written and directed by John Hughes and starring Molly Ringwald. 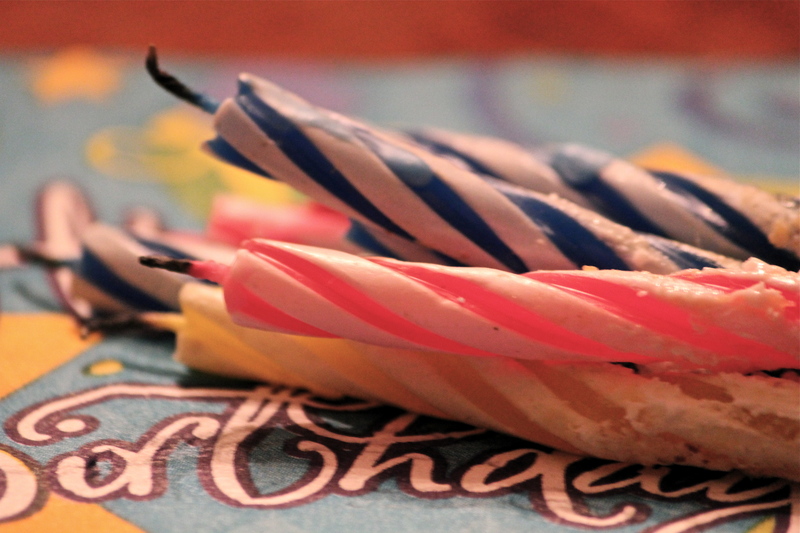 This classic rom-com sees Samantha struggle through a tough birthday. In the end, her birthday wish does come true when she gets to kiss Jake, the boy she's crushing on. Written and directed by Harold Ramis and starring Bill Murray and Andie MacDowell. This is a rom-com in which deplorable Murray relives the same day again and again until he learns how to not be a giant jerk, oh and he wins the heart of a lovely lady along the way. This British-American horror movie directed by Dario Piana stars Mike Vogel and Christina Cole. An American living in the UK is killed every day by sinister beings after which he enters a new reality where he can't recall his last one. Eventually, memories of these realities and his deaths start creeping back and he has to solve the mystery. The Vibe: it's good. It keeps you guessing and theorising. The cinematography has a similar tone to It Follows. There are some clever camera angles and some really fun jump scares. 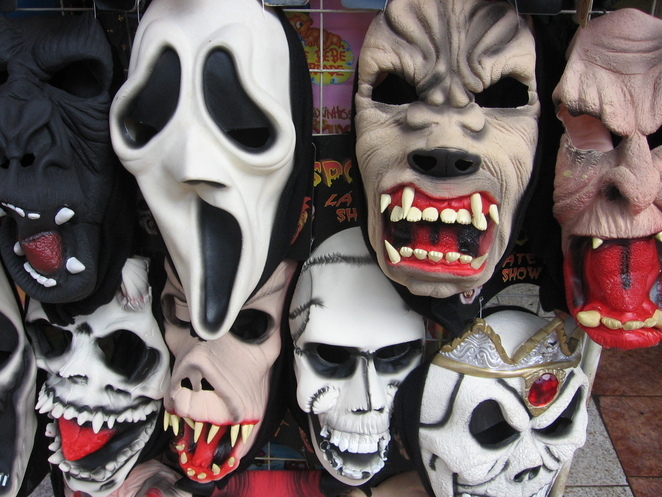 The Mask: as killer masks go, the filmmakers missed the mark a little. It wasn't very scary. The mask is a bit of an overdone trope but how else will you hide the identity of a killer in a whodunit? It did work as a message about the sporting culture on campus and all that those young men represent. It Wouldn't be a Scary Whodunit wihtout a Scary Mask. The Message: it touched on some really pertinent themes without getting too heavy. There was a nod to the dangers of young women around college frat boy culture. There was a bit of a stronger message about not taking advantage of people when they're too intoxicated to consent, but none of it felt preachy or overdone. The Acting: the acting was really natural. You'll find the cast believable and well suited to their roles. The dad's casting was a little off in that he didn't really look very related to Tree, but his acting was so good it didn't matter too much. The Comedy: really great. There were some light and dark comedic moments that helped to brighten the mood. The film was really self-aware and made jokes about where it had been derivative. The Horror: it wasn't too gruesome. The film was effective in delivering a good 'life-threatening' vibe. The tension is built very well. There's no gore for gore's sake. My boyfriend rated this one highly on the 'date night' scale and so did I. It was a fun movie we could both enjoy. Happy Death Day is now playing in cinemas. Look to your local guides for details.